The Shingle-style cottage has been sympathetically remodeled, although renovations (including the most recent in 2000) have added considerable bulk to the now mansion-class building. 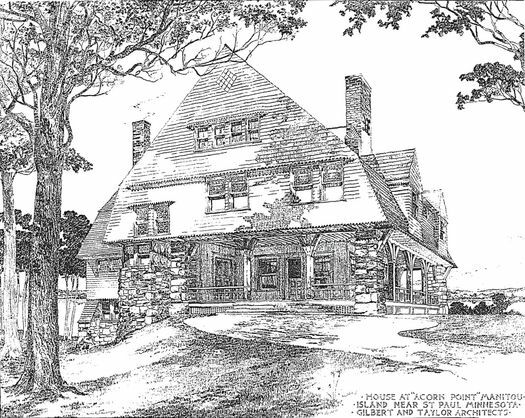 An illustration of this cottage was published in the influential national periodical, American Architect and Building News in 1891, a significant achievement for Gilbert & Taylor. James Skinner was a principal in the firm of Lanpher, Finch & Skinner, a dry goods concern, and treasurer of the St. Paul Jobbers Union. Skinner was one of many clients Gilbert lost to other local architects when he moved to New York. 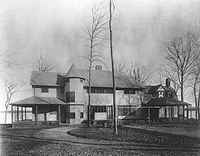 Clarence Johnston subsequently designed Skinner's Summit Avenue house.